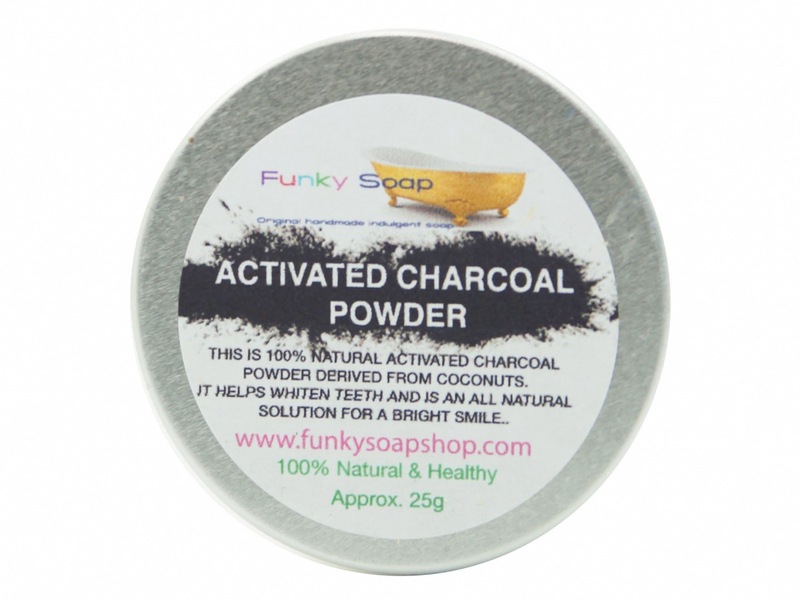 THIS IS 100% NATURAL ACTIVATED CHARCOAL POWDER DERIVED FROM COCONUTS. IT HELPS WHITEN TEETH AND IS AN ALL NATURAL SOLUTION FOR A BRIGHTER SMILE. 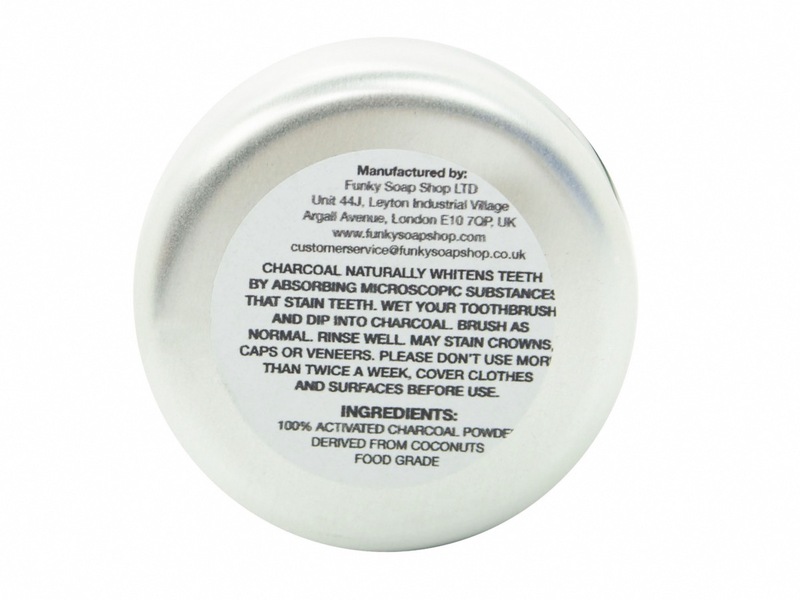 CHARCOAL NATURALLY WHITENS TEETH BY ABSORBING MICROSCOPIC SUBSTANCES THAT STAIN TEETH. WET YOUR TOOTHBRUSH AND DIP INTO CHARCOAL. BRUSH AS NORMAL AND RINSE WELL. MAY STAIN CROWNS, CAPS AND VENEERS. PLEASE COVER SURFACES AND CLOTHES BEFORE USE. DO NOT USE MORE THAN TWICE A WEEK AS IT CAN BE ABRASIVE. STOP USING THIS PRODUCT IF YOU EXPERIENCE ANY KIND OF DISCOMFORT OR REDNESS ON YOUR GUMS. Have only used this once so far, but it's removed some of the tea stains on my teeth already. Looking forward to seeing the results after using it a few more times.